Operating System Windows,2000, XP, 2003 or Vista. System Requirements Intel-compatible CPU P3 or greater Minimum amount of RAM recommended by the operating system in use 20MB Hard Drive Space. GOM Player includes many codecs (XviD, DivX, FLV1, AC3, OGG, MP4, H263 and more) so you won't need to install separate codecs for most videos. For those videos that require a separate codec, GOM Player will find one and direct you to a place where you can download open source version of the codec. That way, you won't get stuck with unnecessary codecs on your system.AVI files can't be played if the index is broken, or the file isn't completely downloaded. This is because index is located at the end of the file. GOM Player's patented technology enables users to view files with broken index or that are still being downloaded. GOM Player supports most of the condecs. 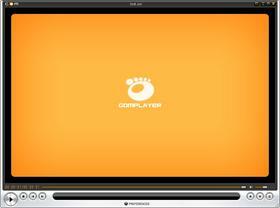 Convert any video files that can be played with GOM Player.Embed subtitles to the video (you can see subtitles on the resulting video even if your device does not support subtitle).Encode just once to convert your video files into MP4/3GP/SKM format playable on your mobile phone, PSP and iPod.Convert video files to AVI format playable on PMP and DivX players.Convert video files to WMV format for your homepage or blog .Convert video files to OGM/AVI for your PDAConvert video files to Flash format (FLV).Fast encoding (even faster on Dual Core or Hyper-Threading CPUs).